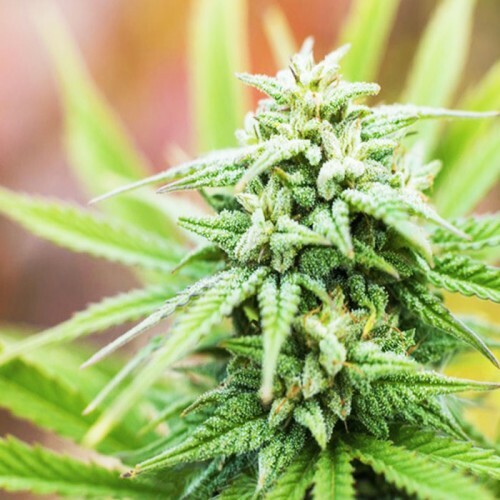 Lemon Skunk bears its name due to the bright citrus characteristics present in the taste and aroma of the strain. For this he was loved by many growers gourmet. Autoflowering Lemon skunk in its growth does not exceed the one meter. But it is considered very productive grade of approximately 450 g flavored, sticky cones cut from a single m2. Hives strain tend automatic flowering, which lasts approximately 50 – 55 days. During flowering it is possible to observe light-green buds, crowned with bright orange hairs. The buds contain a large amount of foliage, making them incredibly tempting. In addition, Lemon Skunk feminized auto color in version of the happy high index of THC, and it is 23 %. Excellent performance varieties, which simply must have in your collection. It's enough to buy cannabis seeds Lemon skunk Auto FEM in the store of Seed JHA and gravity them on the site. Believe me, You will not regret about your choice! There are some features of cultivation of cannabis Lemon skunk. Knowing them, even a novice gardener can handle the job. First, for planting sprouts, you should take pots of sufficient size, not less than 5 litres, the root system of strain needs unlimited space. You should also monitor the moisture level of the soil and the humidity in the room. The land should not be dry. 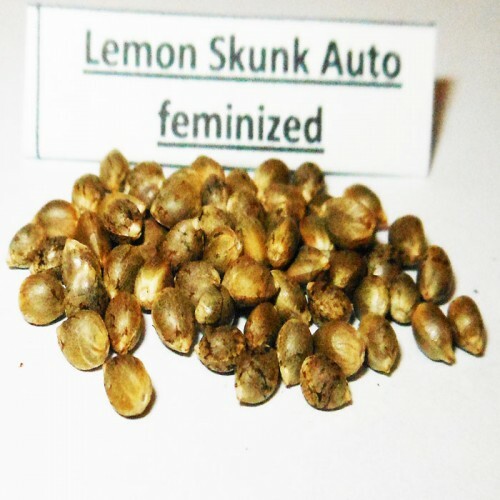 Lemon skunk Auto FEM in need of fertilizers, but to make them should be in moderation, do not overdo it. Unfortunately, this variety is very susceptible to spider mites. It is necessary to take note in time to respond to this problem. But all the difficulties during the maturation instantly forgotten as soon as You begin to harvest. By the way, the best time to do this, 50-56 day on the color. It was at this point the cones are filled with the incredible taste and sweetness, which is famous for Lemon Skunk Auto Feminised.